Do you have trouble fitting a workout into your busy schedule? Are you looking for fresh ideas for getting your children up and moving? Are all the individual fitness routines tearing your family life apart? Then it sounds like you need a little GET UP & GO! Jennifer Flanders holds a Bachelor of Science in Math from Dallas Baptist University, where she met her husband Doug in 1986. As a mother of twelve she has no choice but to stay physically active. Her husband and children provide her with plenty of reasons to Get Up & Go, and the family all works--and plays--together to keep fitness fun! Click the button below to add the Get Up & Go! 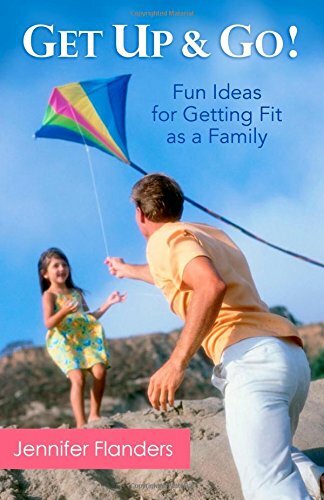 - Fun Ideas for Getting Fit as a Family to your wish list.